BMI is a non-profit organization which collects licensing fees on behalf of its songwriter, composer and music publisher membership. They were founded by the National Association of Broadcasters to provide a solution to a proposed raise in fees that ASCAP was charging commercial radio stations in 1939. This provided a new and alternative source of licensing to then market leader, ASCAP. In 1941, the three radio networks would not renew their licenses with ASCAP choosing to use BMI-only music. Soon after, a consent decree was put into affect by the Department of Justice giving licensees the option of paying only for the music they “used” (aka played) instead of using the antiquated blanket license. BMI was aggressive in building its client base by purchasing rights of ASCAP catalogs that had expiring contracts and pursuing music that wasn’t necessarily mainstream at the time. They were future forward in their thinking to represent songwriters of a wide variety of genres including, but not limited too, blues, jazz, r & b, gospel, country, folk, latin and rock and roll. They also expanded their catalog to take a foothold in the classical music genre all while ASCAP had a foothold in pop/mainstream music. BMI, claims to track over seven million different songs and collects and distributes those revenues to their 400,000 person deep membership. Annually they host an awards show, similar to ASCAP, for their songwriters, composers and music publishers featuring the music that has been most-performed. They also host a plethora of international and genre-specific awards shows. There is no fee to join BMI as a songwriter, but there is a $250 application fee for applying as a music publisher. BMI also claims to have the ability, like ASCAP, to help artists with their careers with a variety of services such as showcasing opportunities, workshops, medical, health, life, musical instruments and equipment insurances and discounts covering various facets of the music industry. Some of the artists and bands on BMI’s roster include: Mariah Carey, Lady Gaga, Taylor Swift, Eminem, Rihanna, Linkin Park, Lady Antebellum, Foo Fighters, Pink, Kanye West, Willie Nelson, John Williams, Alan Menken, Danny Elfman. Relationships are everything in the music business and having personally dealt with BMI I can say they are very good their job. 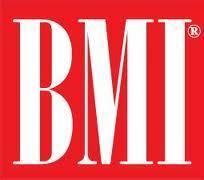 Depending on where you’re at in your career, BMI may be able to help you with showcases and/or career advice. To be completely fair, ASCAP does claim to offer similar services. SESAC will be on Friday. Tomorrow our music reviewer Charissa Lock will review the album “True Loves” by Hooray For Earth.